T-shirts are in high demand especially on the online marketplace. Every day, people place orders for T shirts from online sellers. People need simple outfit for unofficial days. T-Shirts are the best outfits for days like this. If you are someone who is very good with designs, then this article is for you. 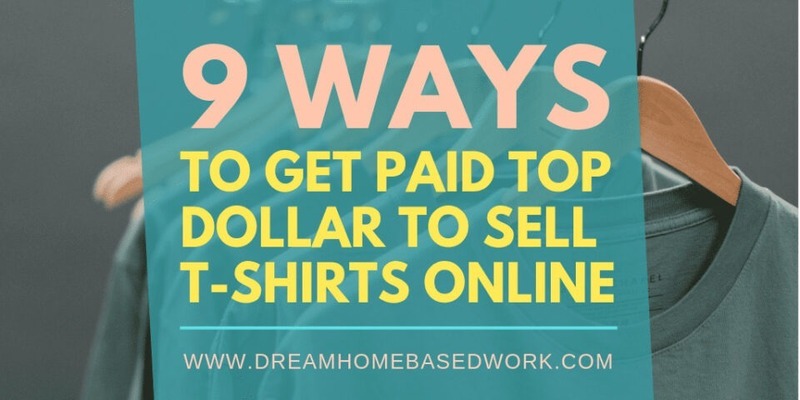 In this post, I will show you ways to make money by selling T-Shirts. The online market makes it easy for you to sell T-Shirts to a wide range of customers. There is no limit to the customers you can serve. Everyone around the world love T-Shirts. If you meet all the requirements above, then relax while I show you how to sell T-Shirts and make money online. The following companies pay you to design and sell t-shirts online. Teemill gives you a platform to sell T-Shirts and earn the profit. The company provides you with all you need to get started as a T-Shirt seller. All you need to do is register, set up your store, create your designs, and start selling. Teemill takes care of the shipping and delivery process. At the end of the transaction, the profit is sent to your account. The best fact about Teemill is that, it is free to use. So, what are you waiting for, visit their website and create that T-Shirt design now. Teespring makes it easy to create and sell T-Shirts online. All you need to do is set your price and tell your friends about it. As long as you get enough pre-orders, Teespring will print the shirts and ship it for you. The interesting part is, you get to keep all your profits. The site is not location specific. However, you will need to have a PayPal account in order to receive proceeds from your sales. This is another place for you to sell t-shirts online. SellmyTees offers the free and paid option for its users. The free options allows you to create only about 20 designs. The paid option on the other hand, allows you to create unlimited designs. Payment on T-Shirt sales is made every month via PayPal or Check. Go here to signup! Sell T-Shirts to customers from any part of the world with TeePublic. All that is required of you is to create the designs and promote them. Your shirt designs will be sold at $14 during the first three days. If you promote well, then you should have a handful of customers. The commission from each transaction is then accumulated and sent to you via your preferred payment means. Zazzle is a very popular online platform for selling T-Shirts. You can also sell a variety of products on this platform. Zazzle allows you open an online store and set your prices. You will then be required to design an artwork. You can use Zazzle’s site designer or upload your own design. This artwork can then be placed on T-Shirts. You can place the designs on Mugs, posters, or calendars. With Spreadshop, it is very possible to own your personal store. The site is completely free to use. On Spreadshop, you can make money in two ways. First, you can choose to be a Tee shirt designer. This means you will make money on every of your designs. Secondly, you can own a store. As a store owner, you will earn commission on every sale you make. Start here! Make money on every of your designs with Spreadshirt. You can also own your own design shop on this platform. Spreadshirt allows you to make over 60% of any sale you make. The site is also completely free to use. Your earnings are paid on a quarterly basis. Payment is made via bank transfer or Paypal. The minimum threshold for withdrawal is $25. Sellers who have up to $100 in their account can request for payment on a monthly basis. Cafépress is also another very popular place to sell T-Shirts. The site is also very similar to Zazzle. You can sell a wide range of products on this platform. Cafépress will handle the advertisement of all your products. All you need to do is create your own designs and set up your online store. Zazzle pays you royalty on every sale you make. Threadless is a great place to make money while selling T-Shirts. The site features T-Short designs from different artists located all over the world. The site regularly has challenges for designers. You can partake by submitting your own t-shirt design. If your design is selected as part of the best, you will earn a cash prize. Apart from that, your T-Shirt will be manufactured and sold. This gives you a chance to earn royalties from every sale made. Threadless also allows you create your own personal store. Here, you can sell your T-shirt designs and make money. 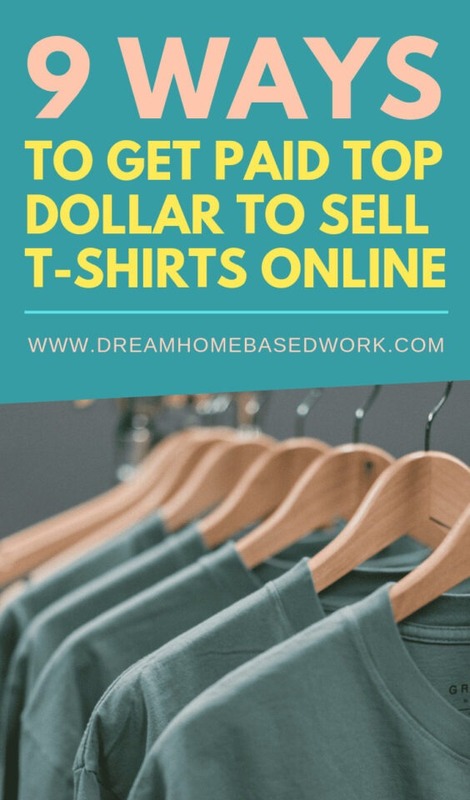 Selling T-Shirts are a great way to make money online. However, you must be determined to succeed while at it. Hardwork is key to making it as an Online T-Shirt seller.